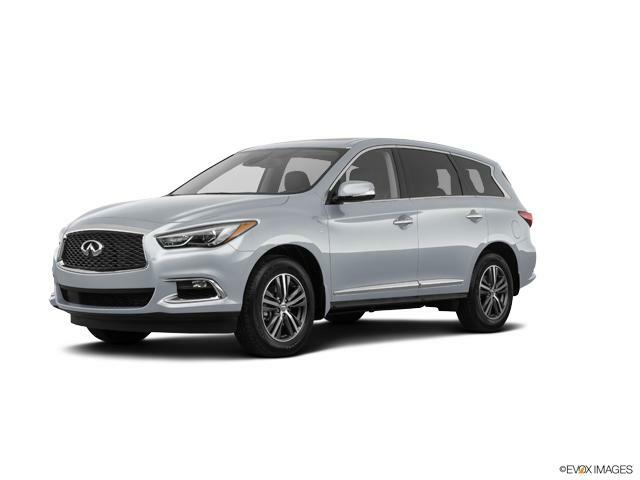 Liquid Platinum 2019 INFINITI QX60 PURE AWD CVT 3.5L 6-Cylinder 160 Point Safety Inspection.Vehicle is equipped with: 3rd row seats: bench, 4-Wheel Disc Brakes, 5.25 Axle Ratio, 6 Speakers, ABS brakes, Air Conditioning, AM/FM radio: SiriusXM, AM/FM/CD Audio System, Anti-whiplash front head restraints, Auto-dimming Rear-View mirror, Automatic temperature control, Blind spot sensor: Blind Spot Warning warning, Bodyside moldings, Brake assist, Bumpers: body-color, CD player, Delay-off headlights, Driver door bin, Driver vanity mirror, Dual front impact airbags, Dual front side impact airbags, Electronic Stability Control, Four wheel independent suspension, Front anti-roll bar, Front Bucket Seats, Front Center Armrest w/Storage, Front dual zone A/C, Front fog lights, Front reading lights, Fully automatic headlights, Garage door transmitter: HomeLink, Heated door mirrors, Heated Front Seats, Heated front seats, High intensity discharge headlights: Bi-Xenon, Illuminated entry, Leather Shift Knob, Leather steering wheel, Leatherette Seat Trim, Low tire pressure warning, Occupant sensing airbag, Outside temperature display, Overhead airbag, Overhead console, Panic alarm, Passenger door bin, Passenger vanity mirror, Power door mirrors, Power driver seat, Power Liftgate, Power moonroof, Power passenger seat, Power steering, Power windows, Radio data system, Rear air conditioning, Rear anti-roll bar, Rear reading lights, Rear seat center armrest, Rear window defroster, Rear window wiper, Reclining 3rd row seat, Remote keyless entry, Security system, Speed control, Speed-sensing steering, Speed-Sensitive Wipers, Splash Guards (Color Matched, Set of 4), Split folding rear seat, Spoiler, Steering wheel mounted audio controls, Tachometer, Telescoping steering wheel, Tilt steering wheel, Traction control, Trip computer, Turn signal indicator mirrors, Variably intermittent wipers, and Wheels: 18" Triple 5-Spoke Aluminum-Alloy. 19/26 City/Highway MPGThe Grubbs Family of Dealerships was established in 1948 as a family-owned and operated automotive business, a tradition that continues to this day. The Grubbs name is synonymous with a tradition of excellence, superior service, and integrity. The founding members of the Grubbs family believed that, while anyone could sell a car, to make a dealership stand above the rest, it had to completely satisfy the customer's every need. The expert team at INFINITI of Hanover is committed to caring for your vehicle for as long as you own it. We have state-of-the-art service facilities and use the latest diagnostics to maintain and repair your INFINITI at a competitive price. We offer many convenient amenities such as Express Service to make your visit with us pleasurable. We use only genuine INFINITI parts, so you can be sure your vehicle will perform as well as the day you got it. This "customer first" philosophy would be passed down for generations to come, and you can see it firsthand at any of the Grubbs dealership locations in Texas and in Hanover MA. www.infinitiofhanover.com. Finance for $533 per month at 4.47% APR for 72 months with $3,995 down payment. Payment expires on 04/30/19. Finance for $541 per month at 4.47% APR for 72 months with $3,995 down payment. Payment expires on 04/30/19. This Vehicle is equipped with: 4-Wheel Disc Brakes, 5.846 Axle Ratio, 6 Speakers, ABS brakes, Air Conditioning, Alloy wheels, AM/FM radio: SiriusXM, AM/FM/CD Audio System, Anti-whiplash front head restraints, Automatic temperature control, Block heater, Brake assist, Bumpers: body-color, CD player, Delay-off headlights, Driver door bin, Driver vanity mirror, Dual front impact airbags, Dual front side impact airbags, Electronic Stability Control, Exterior Parking Camera Rear, Four wheel independent suspension, Front anti-roll bar, Front Bucket Seats, Front Center Armrest, Front dual zone A/C, Front reading lights, Illuminated entry, Knee airbag, Leather Shift Knob, Leatherette Appointed Seat Trim, Low tire pressure warning, Occupant sensing airbag, Outside temperature display, Overhead airbag, Overhead console, Panic alarm, Passenger door bin, Passenger vanity mirror, Power door mirrors, Power driver seat, Power Liftgate, Power passenger seat, Power steering, Power windows, Radio data system, Rear anti-roll bar, Rear reading lights, Rear seat center armrest, Rear window defroster, Rear window wiper, Remote keyless entry, Security system, Speed control, Speed-sensing steering, Speed-Sensitive Wipers, Split folding rear seat, Spoiler, Steering wheel mounted audio controls, Tachometer, Telescoping steering wheel, Tilt steering wheel, Traction control, Trip computer, Turn signal indicator mirrors, and Variably intermittent wipers. *Pricing is based on standard INFINITI APR.Contact us now to find out why so many customers from across the US rely on INFINITI of San Antonio, a family owned business since 1948, to meet their automotive needs!Outside of San Antonio area, no problem, we offer: Reliable, affordable and fast shipping options - Our shipping partners are licensed, bonded, fully insured & experienced with high-end vehicles.Hassle free and competitive financing options - Let us leverage our relationships with leading Banks & Credit Unions to get you the lowest rates and best terms for all credit types.Whether you're shopping for a new INFINITI or a quality used pre-owned vehicle you'll receive the same first-class experience from our certified staff of factory trained specialists.Call us today or visit us at www.infinitiofsanantonio.com. Finance for $565 per month at 4.47% APR for 72 months with $3,995 down payment. Payment expires on 04/30/19. This Vehicle is equipped with: 4-Wheel Disc Brakes, 5.846 Axle Ratio, 6 Speakers, ABS brakes, Air Conditioning, AM/FM radio: SiriusXM, AM/FM/CD Audio System, Anti-whiplash front head restraints, Auto-dimming Rear-View mirror, Automatic temperature control, Block heater, Brake assist, Bumpers: body-color, CD player, Delay-off headlights, Driver door bin, Driver vanity mirror, Dual front impact airbags, Dual front side impact airbags, Electronic Stability Control, Exterior Parking Camera Rear, Four wheel independent suspension, Front anti-roll bar, Front Bucket Seats, Front Center Armrest, Front dual zone A/C, Front fog lights, Front reading lights, Garage door transmitter: HomeLink, Heated Front Seats, Illuminated entry, Knee airbag, Leather Shift Knob, Leatherette Appointed Seat Trim, Low tire pressure warning, Occupant sensing airbag, Outside temperature display, Overhead airbag, Overhead console, Panic alarm, Passenger door bin, Passenger vanity mirror, Power door mirrors, Power driver seat, Power Liftgate, Power moonroof, Power passenger seat, Power steering, Power windows, Radio data system, Rear anti-roll bar, Rear reading lights, Rear seat center armrest, Rear window defroster, Rear window wiper, Remote keyless entry, Roof rack: rails only, Security system, Speed control, Speed-sensing steering, Speed-Sensitive Wipers, Split folding rear seat, Spoiler, Steering wheel mounted audio controls, Tachometer, Telescoping steering wheel, Tilt steering wheel, Traction control, Trip computer, Turn signal indicator mirrors, Variably intermittent wipers, and Wheels: 19" x 7.5J Silver Painted Aluminum Alloy. *Pricing is based on standard INFINITI APR.Contact us now to find out why so many customers from across the US rely on INFINITI of San Antonio, a family owned business since 1948, to meet their automotive needs!Outside of San Antonio area, no problem, we offer: Reliable, affordable and fast shipping options - Our shipping partners are licensed, bonded, fully insured & experienced with high-end vehicles.Hassle free and competitive financing options - Let us leverage our relationships with leading Banks & Credit Unions to get you the lowest rates and best terms for all credit types.Whether you're shopping for a new INFINITI or a quality used pre-owned vehicle you'll receive the same first-class experience from our certified staff of factory trained specialists.Call us today or visit us at www.infinitiofsanantonio.com. Finance for $566 per month at 4.47% APR for 72 months with $3,995 down payment. Payment expires on 04/30/19. 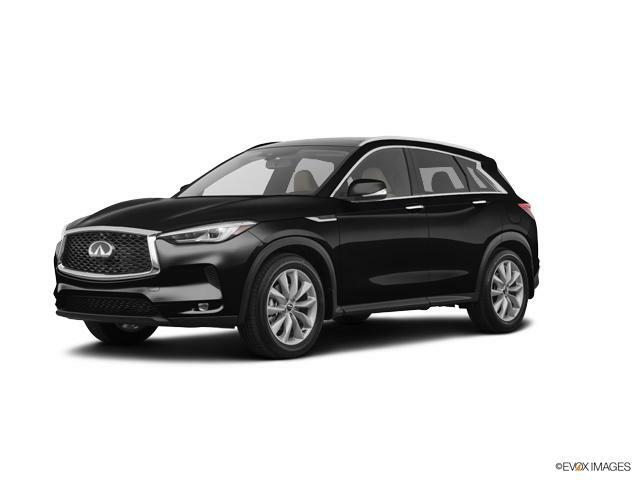 This Vehicle is equipped with: Navigation Package (INFINITI InTouch w/Navigation & InTouch Services), 4-Wheel Disc Brakes, 5.846 Axle Ratio, 6 Speakers, ABS brakes, Activation Disclaimer, Air Conditioning, AM/FM radio: SiriusXM, AM/FM/CD Audio System, Anti-whiplash front head restraints, Auto-dimming Rear-View mirror, Automatic temperature control, Blind spot sensor: Blind Spot Intervention (BSI) warning, Block heater, Brake assist, Bumpers: body-color, CD player, Delay-off headlights, Driver door bin, Driver vanity mirror, Dual front impact airbags, Dual front side impact airbags, Electronic Stability Control, Exterior Parking Camera Rear, Floor Mats, Four wheel independent suspension, Front anti-roll bar, Front Bucket Seats, Front Center Armrest, Front dual zone A/C, Front fog lights, Front reading lights, Garage door transmitter: HomeLink, Heated Front Seats, Illuminated entry, Knee airbag, Leather Shift Knob, Leatherette Appointed Seat Trim, Literature Kit, Low tire pressure warning, Navigation System, Occupant sensing airbag, Outside temperature display, Overhead airbag, Overhead console, Panic alarm, Passenger door bin, Passenger vanity mirror, Power door mirrors, Power driver seat, Power Liftgate, Power moonroof, Power passenger seat, Power steering, Power windows, Radio data system, Rear anti-roll bar, Rear reading lights, Rear seat center armrest, Rear window defroster, Rear window wiper, Remote keyless entry, Roof rack: rails only, Security system, Speed control, Speed-sensing steering, Speed-Sensitive Wipers, Split folding rear seat, Spoiler, Steering wheel mounted audio controls, Tachometer, Telescoping steering wheel, Tilt steering wheel, Traction control, Trip computer, Turn signal indicator mirrors, Variably intermittent wipers, and Wheels: 19" x 7.5J Silver Painted Aluminum Alloy. *Pricing is based on standard INFINITI APR.Contact us now to find out why so many customers from across the US rely on INFINITI of San Antonio, a family owned business since 1948, to meet their automotive needs!Outside of San Antonio area, no problem, we offer: Reliable, affordable and fast shipping options - Our shipping partners are licensed, bonded, fully insured & experienced with high-end vehicles.Hassle free and competitive financing options - Let us leverage our relationships with leading Banks & Credit Unions to get you the lowest rates and best terms for all credit types.Whether you're shopping for a new INFINITI or a quality used pre-owned vehicle you'll receive the same first-class experience from our certified staff of factory trained specialists.Call us today or visit us at www.infinitiofsanantonio.com. Finance for $586 per month at 4.47% APR for 72 months with $3,995 down payment. Payment expires on 04/30/19. This Vehicle is equipped with: Cargo Package, Splash Guards (Set of 4), Welcome Lighting, 4-Wheel Disc Brakes, 5.846 Axle Ratio, 6 Speakers, ABS brakes, Air Conditioning, AM/FM radio: SiriusXM, AM/FM/CD Audio System, Anti-whiplash front head restraints, Auto-dimming Rear-View mirror, Automatic temperature control, Block heater, Brake assist, Bumpers: body-color, CD player, Delay-off headlights, Driver door bin, Driver vanity mirror, Dual front impact airbags, Dual front side impact airbags, Electronic Stability Control, Exterior Parking Camera Rear, Four wheel independent suspension, Front anti-roll bar, Front Bucket Seats, Front Center Armrest, Front dual zone A/C, Front fog lights, Front reading lights, Garage door transmitter: HomeLink, Heated Front Seats, Illuminated entry, Knee airbag, Leather Shift Knob, Leatherette Appointed Seat Trim, Low tire pressure warning, Occupant sensing airbag, Outside temperature display, Overhead airbag, Overhead console, Panic alarm, Passenger door bin, Passenger vanity mirror, Power door mirrors, Power driver seat, Power Liftgate, Power moonroof, Power passenger seat, Power steering, Power windows, Radio data system, Rear anti-roll bar, Rear reading lights, Rear seat center armrest, Rear window defroster, Rear window wiper, Remote keyless entry, Roof rack: rails only, Security system, Special Paint - Majestic White, Speed control, Speed-sensing steering, Speed-Sensitive Wipers, Split folding rear seat, Spoiler, Steering wheel mounted audio controls, Tachometer, Telescoping steering wheel, Tilt steering wheel, Traction control, Trip computer, Turn signal indicator mirrors, Variably intermittent wipers, and Wheels: 19" x 7.5J Silver Painted Aluminum Alloy. *Pricing is based on standard INFINITI APR.Contact us now to find out why so many customers from across the US rely on INFINITI of San Antonio, a family owned business since 1948, to meet their automotive needs!Outside of San Antonio area, no problem, we offer: Reliable, affordable and fast shipping options - Our shipping partners are licensed, bonded, fully insured & experienced with high-end vehicles.Hassle free and competitive financing options - Let us leverage our relationships with leading Banks & Credit Unions to get you the lowest rates and best terms for all credit types.Whether you're shopping for a new INFINITI or a quality used pre-owned vehicle you'll receive the same first-class experience from our certified staff of factory trained specialists.Call us today or visit us at www.infinitiofsanantonio.com. Finance for $593 per month at 4.47% APR for 72 months with $3,995 down payment. Payment expires on 04/30/19. This Vehicle is equipped with: Cargo Package, Power Liftgate, Welcome Lighting, 4-Wheel Disc Brakes, 5.846 Axle Ratio, 6 Speakers, ABS brakes, Air Conditioning, AM/FM radio: SiriusXM, AM/FM/CD Audio System, Anti-whiplash front head restraints, Auto-dimming Rear-View mirror, Automatic temperature control, Block heater, Brake assist, Bumpers: body-color, CD player, Delay-off headlights, Driver door bin, Driver vanity mirror, Dual front impact airbags, Dual front side impact airbags, Electronic Stability Control, Exterior Parking Camera Rear, Floor Mats, Four wheel independent suspension, Front anti-roll bar, Front Bucket Seats, Front Center Armrest, Front dual zone A/C, Front fog lights, Front reading lights, Garage door transmitter: HomeLink, Heated Front Seats, Illuminated entry, Knee airbag, Leather Shift Knob, Leatherette Appointed Seat Trim, Low tire pressure warning, Occupant sensing airbag, Outside temperature display, Overhead airbag, Overhead console, Panic alarm, Passenger door bin, Passenger vanity mirror, Power door mirrors, Power driver seat, Power moonroof, Power passenger seat, Power steering, Power windows, Radio data system, Rear air conditioning, Rear anti-roll bar, Rear reading lights, Rear seat center armrest, Rear window defroster, Rear window wiper, Remote keyless entry, Roof rack: rails only, Security system, Special Paint - Majestic White, Speed control, Speed-sensing steering, Speed-Sensitive Wipers, Splash Guards (Set of 4), Split folding rear seat, Spoiler, Steering wheel mounted audio controls, Tachometer, Telescoping steering wheel, Tilt steering wheel, Traction control, Trip computer, Turn signal indicator mirrors, Variably intermittent wipers, and Wheels: 19" x 7.5J Silver Painted Aluminum Alloy. *Pricing is based on standard INFINITI APR.Contact us now to find out why so many customers from across the US rely on INFINITI of San Antonio, a family owned business since 1948, to meet their automotive needs!Outside of San Antonio area, no problem, we offer: Reliable, affordable and fast shipping options - Our shipping partners are licensed, bonded, fully insured & experienced with high-end vehicles.Hassle free and competitive financing options - Let us leverage our relationships with leading Banks & Credit Unions to get you the lowest rates and best terms for all credit types.Whether you're shopping for a new INFINITI or a quality used pre-owned vehicle you'll receive the same first-class experience from our certified staff of factory trained specialists.Call us today or visit us at www.infinitiofsanantonio.com. Finance for $600 per month at 4.62% APR for 72 months with $3,995 down payment. Payment expires on 04/30/19. Lease the 2019 QX50 for only $399 per month! Call 210-941-4445 to schedule a test drive today. 139 month lease. $3,495 down. Excludes bank fees, taxes, title, license and dealer fees. 2019 QX50 AWD Luxe. MSRP $43,945 incl. destination charge. Net capitalized cost of $40,389. Monthly payments total $15,561. At lease end, purchase for $24,329, plus $300 purchase option fee plus tax, or pay excess wear and tear plus $0.25 per mile for mileage over 10,000 miles per year. Subject to availability to well qualified customers who lease through Nissan-INFINITI LT. Subject to Credit Approval. Lessee is responsible for maintenance and repairs. Disposition Fee due at termination of lease. No security deposit required. Dealer added options extra. VIN 3PCAJ5M36KF134860. Offer expires 4/30/2019. Lease terms end or change at 10000 miles 22019 QX50 (all trims). For well qualified buyers. Special APR not compatible with some offers. Offer expires 4/30/2019. Finance for $600 per month at 4.47% APR for 72 months with $3,995 down payment. Payment expires on 04/30/19. 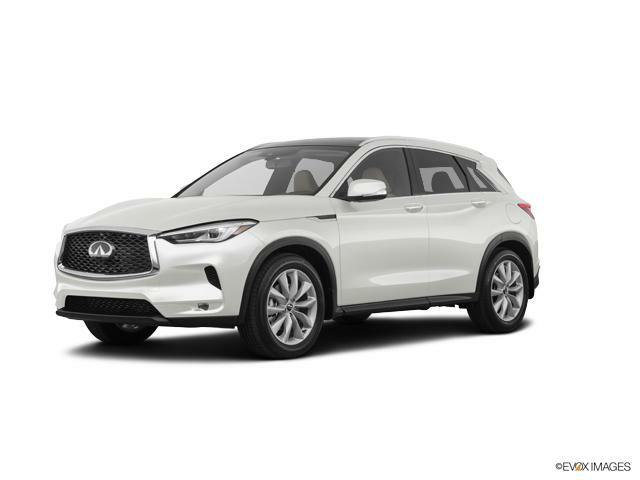 This Vehicle is equipped with: Navigation Package (INFINITI InTouch w/Navigation & InTouch Services), 4-Wheel Disc Brakes, 5.846 Axle Ratio, 6 Speakers, ABS brakes, Activation Disclaimer, Air Conditioning, Alloy wheels, AM/FM radio: SiriusXM, AM/FM/CD Audio System, Anti-whiplash front head restraints, Auto-dimming Rear-View mirror, Automatic temperature control, Blind spot sensor: Blind Spot Intervention (BSI) warning, Block heater, Brake assist, Bumpers: body-color, CD player, Delay-off headlights, Driver door bin, Driver vanity mirror, Dual front impact airbags, Dual front side impact airbags, Electronic Stability Control, Exterior Parking Camera Rear, Floor Mats, Four wheel independent suspension, Front anti-roll bar, Front Bucket Seats, Front Center Armrest, Front dual zone A/C, Front fog lights, Front reading lights, Garage door transmitter: HomeLink, Heated Front Seats, Illuminated entry, Knee airbag, Leather Shift Knob, Leatherette Appointed Seat Trim, Literature Kit, Low tire pressure warning, Navigation System, Occupant sensing airbag, Outside temperature display, Overhead airbag, Overhead console, Panic alarm, Passenger door bin, Passenger vanity mirror, Power door mirrors, Power driver seat, Power Liftgate, Power moonroof, Power passenger seat, Power steering, Power windows, Radio data system, Rear anti-roll bar, Rear reading lights, Rear seat center armrest, Rear window defroster, Rear window wiper, Remote keyless entry, Roof rack: rails only, Security system, Special Paint - Majestic White, Speed control, Speed-sensing steering, Speed-Sensitive Wipers, Split folding rear seat, Spoiler, Steering wheel mounted audio controls, Tachometer, Telescoping steering wheel, Tilt steering wheel, Traction control, Trip computer, Turn signal indicator mirrors, and Variably intermittent wipers. *Pricing is based on standard INFINITI APR.Contact us now to find out why so many customers from across the US rely on INFINITI of San Antonio, a family owned business since 1948, to meet their automotive needs!Outside of San Antonio area, no problem, we offer: Reliable, affordable and fast shipping options - Our shipping partners are licensed, bonded, fully insured & experienced with high-end vehicles.Hassle free and competitive financing options - Let us leverage our relationships with leading Banks & Credit Unions to get you the lowest rates and best terms for all credit types.Whether you're shopping for a new INFINITI or a quality used pre-owned vehicle you'll receive the same first-class experience from our certified staff of factory trained specialists.Call us today or visit us at www.infinitiofsanantonio.com. Finance for $618 per month at 4.62% APR for 72 months with $3,995 down payment. Payment expires on 04/30/19. Finance for $620 per month at 4.62% APR for 72 months with $3,995 down payment. Payment expires on 04/30/19. Lease the 2019 QX50 for only $399 per month for 39 months! Call 817-809-2600 now to schedule a test drive. 139 month lease. $3,495 down. Excludes bank fees, taxes, title, license and dealer fees. 2019 QX50 AWD Luxe. MSRP $43,445 incl. destination charge. Net capitalized cost of $40,389. Monthly payments total $15,561. At lease end, purchase for $24,329, plus $300 purchase option fee plus tax, or pay excess wear and tear plus $0.25 per mile for mileage over 10,000 miles per year. Subject to availability to well qualified customers who lease through Nissan-INFINITI LT. Subject to Credit Approval. Lessee is responsible for maintenance and repairs. Disposition Fee due at termination of lease. No security deposit required. Dealer added options extra. VIN 3PCAJ5M37KF134818. Offer expires 4/30/2019. Lease terms end or change at 10000 miles 22019 QX50 (all trims). For well qualified buyers. Special APR not compatible with some offers. Offer expires 4/30/2019. Finance for $629 per month at 4.62% APR for 72 months with $3,995 down payment. Payment expires on 04/30/19.